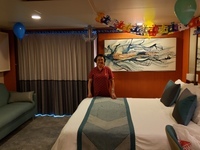 We are cruising for several years now with Norwegian and we are pleased with their service and free style cruise is what we liked most. 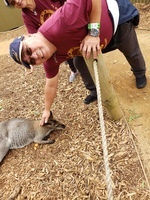 My wife have never been to Australia, Indonesia and Singapore so I decided to take her to that cruise. 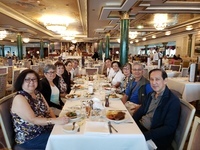 We had a balcony a couple besides our stateroom is my wife&apos;s high school classmate from 1971 and 6 other new guest with NCL and first time cruisers. We had a great time and and had a lot of specialty dinners. 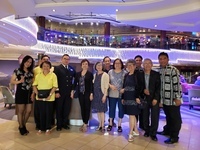 Our group had received a lot of surprises from the Senior Officers that we have met on previous cruises with Norwegian and made our cruise more enjoyable not only for us previous cruisers but for our 6 other friends that we brought with us. They even sent fresh tropical fruits from Indonesia was sent to all our cabins. 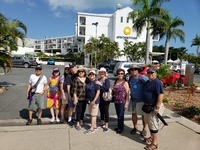 Shore excursions was great that we all got into the same bus every time we book. I had requested a cabin with ADA access and was given one. The cabin was wide enough for me to get in and out with my motorized scooter.